2013 was the year that I was introduced to the brand Sleek. I have used a number of their blushes and eye shadows. I had never on the other hand heart of their sleek make up pout polishes. 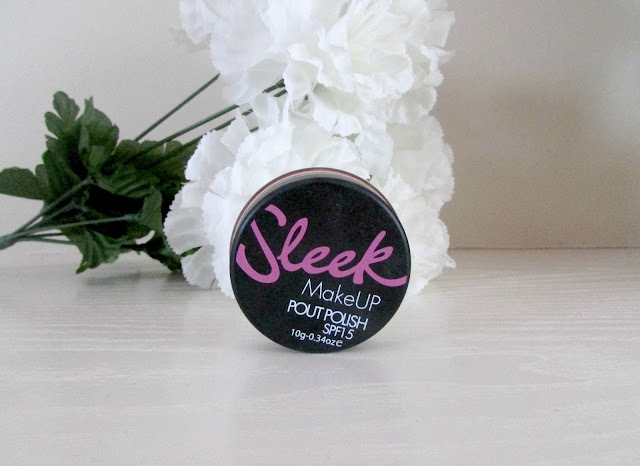 I had spotted a review on Kayleigh aka CoutureGirl's blog and I immediately fell in love with how the product sounded. When I was in Superdrug a couple of weeks ago I was browsing the Sleek counter and couldn't find a colour that would actually suit my skin tone. 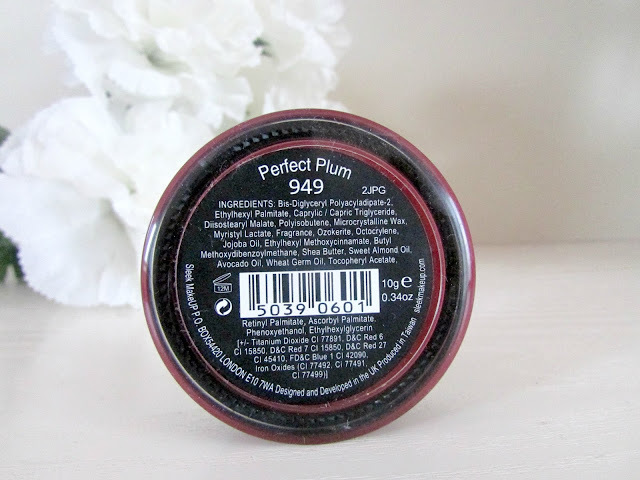 Then at the bottom I spotted this gorgeous red shade which is called 'Perfect Plum'. Red is a lip color that I am going to start experimenting more with in the new year so I thought why not start with this color? One of the main reasons why I love this so much, despite the deep red plum color is because it is also a lip conditioning balm. This means that when you apply the lip balm it nourishes your lips as well as leave a lovely tint of color. 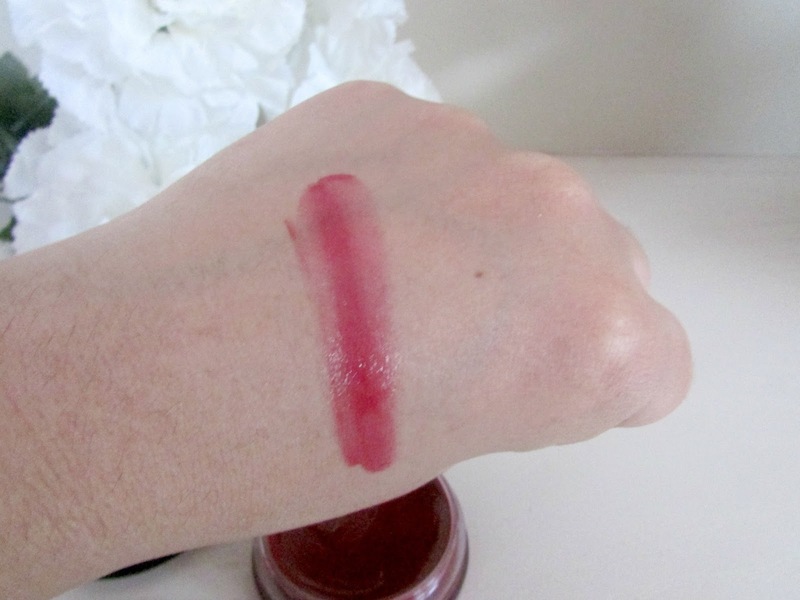 I can safely say that this is the softest lip product I have ever applied to my lips. This is down to the natural oils that are contained in the balm such as almond oil, shea butter, and Vitamin E which happen to be all of my favorite ingredients when it comes to beauty products. As well as nourishing the lips it also keeps the lips protected and makes sure that the moisture is locked in. However I will be honest and say that there is something I hate about this lip balm and that is the way in which it is packaged. I absolutely hate lip balms that are in tub format. I prefer baby lips style balms that are just quick and easy to apply. This can get quite messy if like me you are a bit inexperienced with applying balms with lip brushes. That is why I haven't included a picture of me wearing the lip color as it would be absolutely horrific for you to see! So you'll have to bear with the swatch I've included. Despite the pot making it impossible to apply it's definitely extremely travel friendly. Despite me hating the pot I absolutely love the main product. This product comes in 9 shades and is priced at only £4.29 which I think is a total bargain. Head on over to the SLEEK website now to purchase yours. 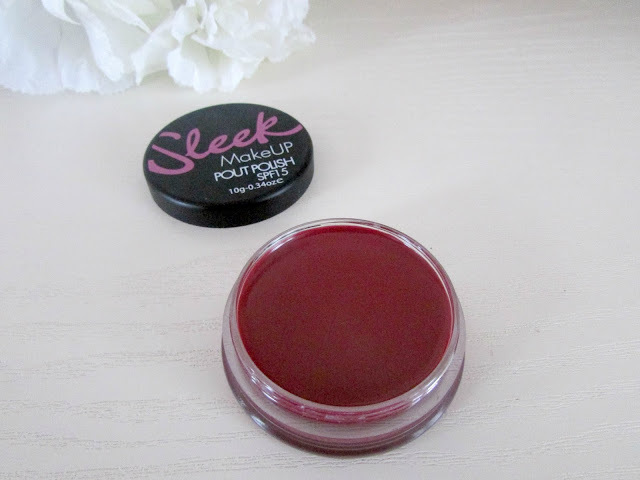 Have you already tried the Sleek Pout Polishes? Love the colour of this, I have just ordered a few things from superdrug, I can't wait to try them out!